When will I get my order? : Your order will be produced in 5 business days; add ship time from CT. Please refer to this map (Click here for map) to calculate shipping time. 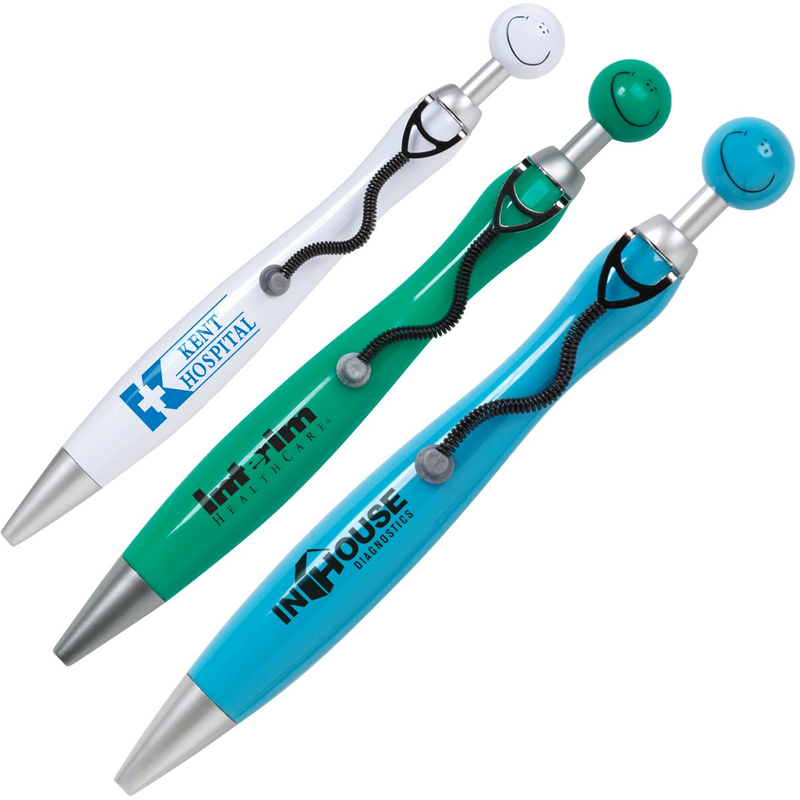 These medical theme ballpoint pens have a Click-action have a fun flexible stethoscope clip. Measuring 5.5" long x .5" in diameter, each has black, medium point ink. Perfect as medical school graduation favors, nurses week, or other medical themed events.